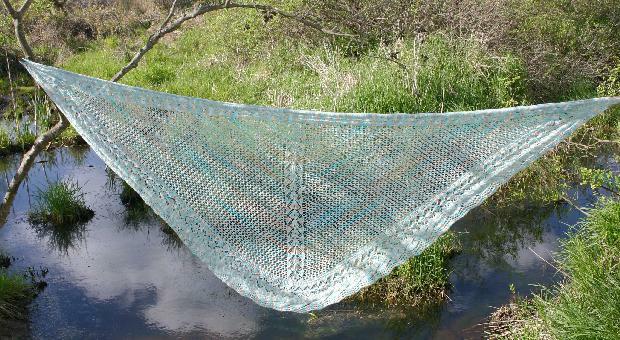 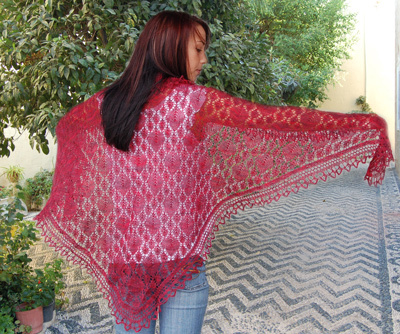 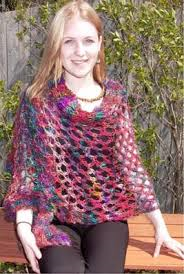 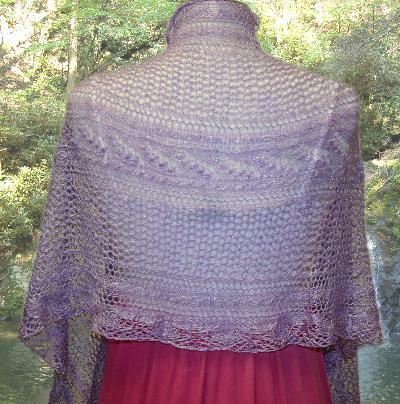 Beautiful and gracious, this easy to knit lace shawl is made with one skein of Ivy Brambles Romantica Lace Yarn. 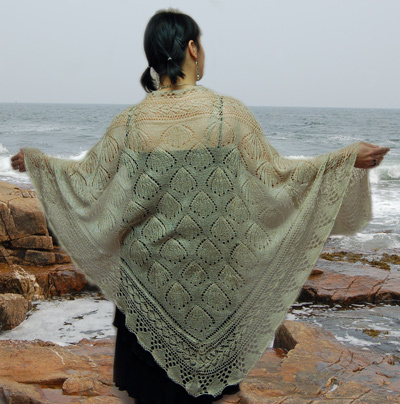 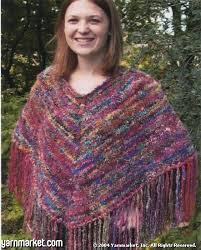 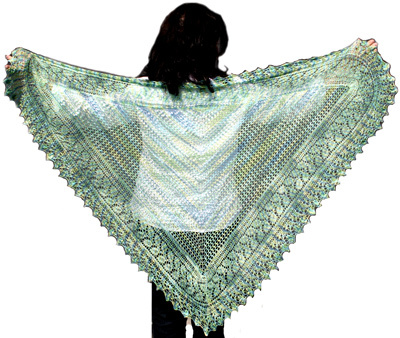 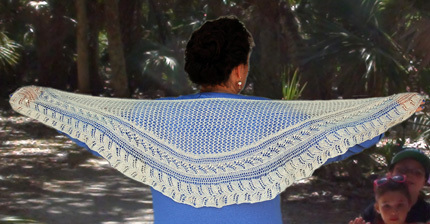 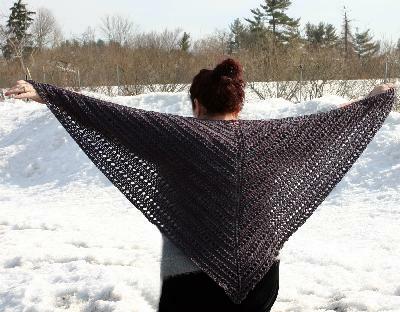 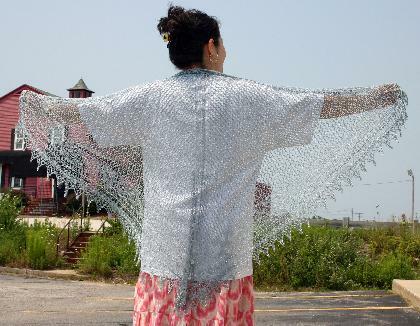 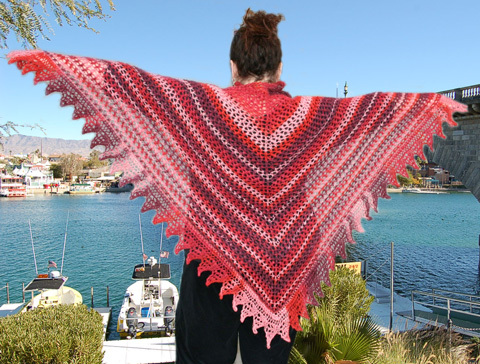 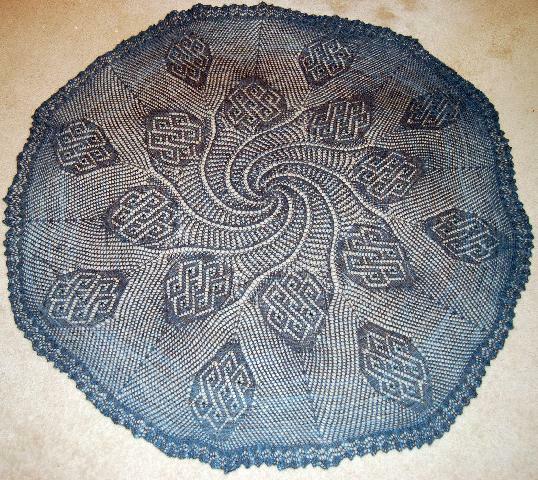 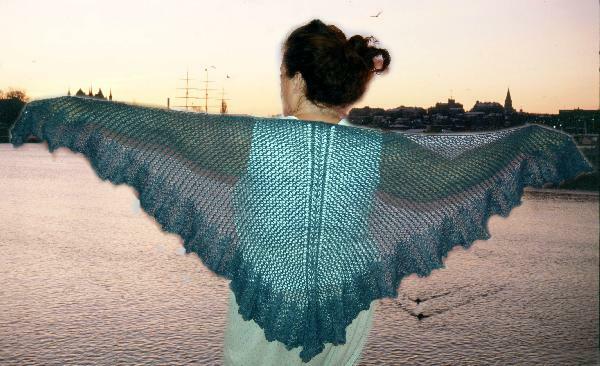 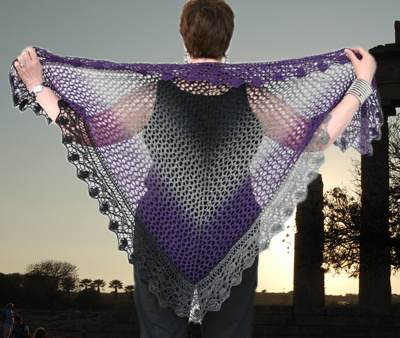 This beautiful shawl is worked in the round from the center outwards and features a unique butterfly stitch. 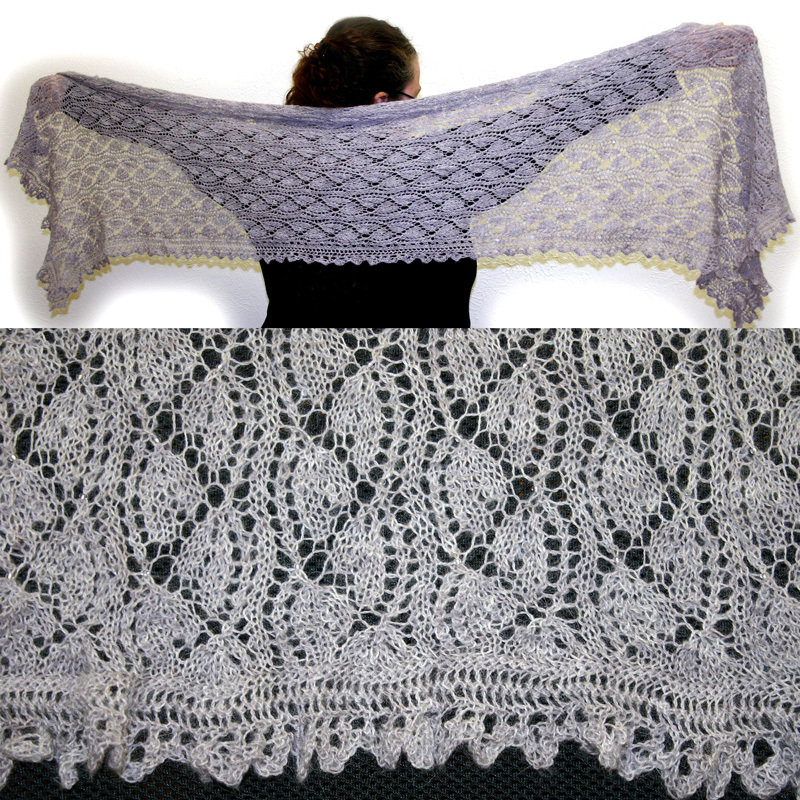 Easy lace shawlette in Ivy Brambles Silky Merino light, shown in Corn Silk colorway. 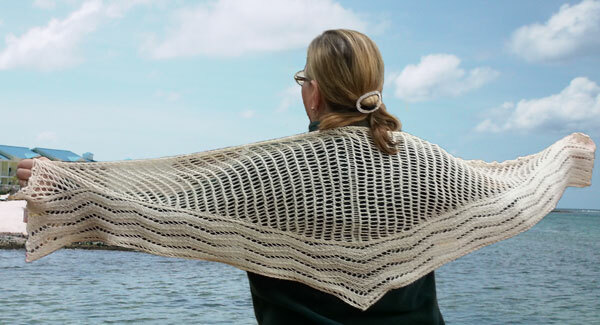 Elegant rolling waves gently roll across the edge of this stylish shawlette designed by Jocre Arts and worked in Ivy Brambles deliciously soft Silky Merino. 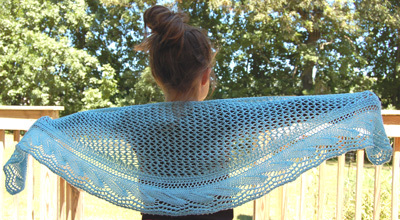 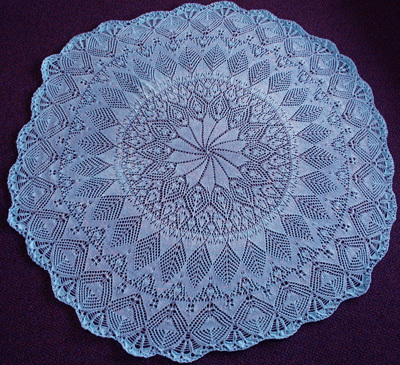 Shown in Bluebell Woods Colorway.